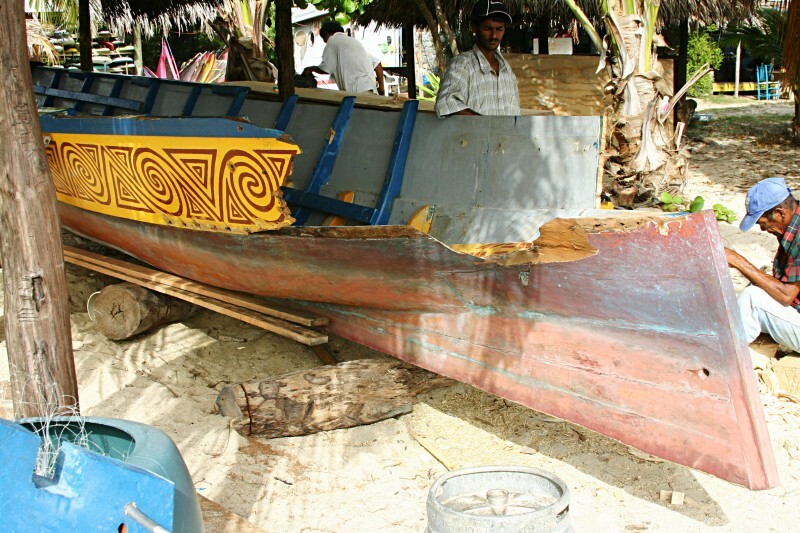 Damage to Gli Gli, Aragorn's Carib canoe. Gli Gli's stern was mysteriously knocked off in the middle of the night while Gli Gli was tied to a mooring. Paint from Gli Gli was found on the sides of the Last Resort restaurant's ferry. Splinters from Gli Gli were also found embedded in some of the ferry's lines. However, Ken (the owner of the Last Resort) is accepting no responsibility for the damage. We will not give any business to the Last Resort in the future.